Winning is not everything, but the effort to win is. We at ServiceSutra believe in effort to win and we are committed to help you win. We are helping Consumers as well as Service professionals Win together and share the joy of serving and getting served. At ServiceSutra Customers win by finding a qualified Local Service Provider and Service provider win as they get connected to the consumers who are looking for their services. Service providers also get some great feedback and testimonials by real consumers who are using their services at the ServiceSutra website. Service providers are widely available for local services in India like for packing, moving, storage, interior designing etc. But the problem is there is no standard pricing model for such local services and you have to make multiple calls to find a local service provider. We’re changing the way you find and hire service providers for local services in India. Advertising is an exciting, visible business, and when another brand’s agency is making news, it can make their grass appear greener. Plus, it’s a business based on experience, confidence and trust. When trust breaks down, relationships end. 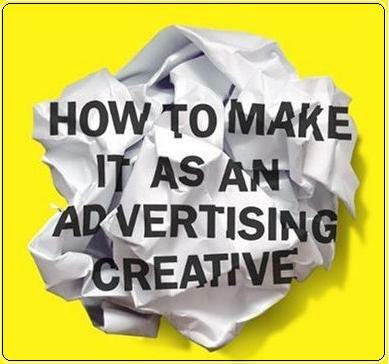 Role of an ad agency in India is even critical due to geographical and cultural factors in India. Whatever the reason for an agency switch, too many companies make their selection based on the wrong criteria. That causes heartache, inefficiency, and a significant amount of lost productivity. Feng Shui is an ancient Chinese system of aesthetics that uses the laws of both Heaven and Earth to help one improve life by receiving positive energy. Every tip that we use today in Feng Shui uses one or more of the following: colors, elements, sound, scent, and movement. Feng means wind and Shui means water. In Chinese culture wind and water are associated with good health, thus good Feng Shui came to mean good fortune, while bad Feng Shui means bad luck, or misfortune. Good Feng Shui can help you create an environment that can attract prosperity, good wealth and health. You may consider these Feng Shui tips for interior designing of your home. Listed below are some of the useful Feng Shui tips for good health, wealth and healthier relationship. Keep your surroundings clean and spacious to ensure free flow of air and light. This is the first and very important tip to create a harmonious house Feng Shui energy. Put nice and clean flowerpots with fresh flowers and water. Fresh flowers can brighten any room and fill it with a scent that can transform any room for the better. Place an indoor water fountain or waterfall in the southwest corner of your home. Water is a very important element in Feng Shui and it can really do wonders for you. Candles and crystals in all shapes, sizes and color are welcome. Apart from creating a warm glow, they improve the entire look of your home, while enhancing romance. Avoid sleeping in a position with overhead beam or overhead cupboards. Also try to avoid sharp angles from the interior decorations, and an overhead fan in a room with a low ceiling. Never sleep with your feet facing towards the door, this is known as the ‘coffin position’ which of course is not. Money plant, Wealth vases, Wealth ships and much other stuff have been used for centuries as Feng shui items to attract wealth. So, you can anytime opt for these fancy decorative items in order to bring home ample wealth. According to Feng shui, south east and north corner of a room is considered as the wealth corner. So, you must make effort to preserve this corner by keeping it clean and free of clutter. Always keep your wallet packed with money because it is a symbol of abundance according to Feng shui. Avoid empty wallet. If you maintain all the relevant and important points followed in the world of Feng shui culture, then nothing can block prosperity to enter your home. To follow the appropriate rules of Feng shui, you may consult a Feng Shui expert or an Interior designer and decorators, who can give you input on how to decorate your home according to Feng shui. East direction is considered to be the most auspicious direction for entrance to your house. The north direction represents prosperity, and should never be blocked. The slope of the premises should be from west to east or south to north. If shadow of a tree falls on your house, then you must get rid of it. Cactus plant should never be grown in the house. All doors in your home should open inside and door hinges should always be noiseless. The main bedroom should be constructed in the southwest direction and shape of your bedroom must be square or rectangle for prosperity. Never place your bed in front of a mirror. Also no light beams should fall directly on your bed from the ventilators or windows. You should always sleep with your head towards South direction for the peace and harmony. Hang pictures and painting that gives you joy, avoid pictures that depict violence or negativity. The north direction is ideal for the construction of living room. Air-conditioners should be in the west and not in the southeast section. Southern and western corners of the room are perfect for placing the furniture. Dining tables should have even number of chairs. Kids’ room should be constructed in the northwest corner of the house. Don’t place the furniture sticking to the wall, as it obstructs the flow of positive energy. The study desk should be placed in such a manner that the child faces eastern, northern or north-eastern corner while studying. The computer should be placed in the southwest corner. The ideal location of the kitchen is the southeast corner of the house, with northwest being the second best option. Cooking activity should be done while facing east, as it’s an auspicious direction. The other option is north direction. Electrical items such as microwaves, juicers and mixers should be placed in the southeast corner of the kitchen. The refrigerator should be in the northwest, southeast, south or west. The kitchen must have adequate provision for cross-ventilation. Your wedding is a moment of your lifetime and I am sure you would like to make it as grand and flawless as possible. It’s a memory that is going to stay with you for long. If you hire a professional wedding planner or wedding organizers, then chances are it will be flawless and grand. But if you are not involving a wedding planner and planning to organize it yourself, then there are certain tips and trick that can help you make it grand and flawless. Keep yourself prepared for everything and double-check all your tasks. Assign different individuals different task as per their ability, experiences and preferences. Something may go wrong at some point, a vendor might not deliver items on time or caterer could not turn up on time, so keep following and prepare yourself as how to handle that situation. As you must have understood by now, doing it all without hiring a professional wedding planner could not be that easy, but its not impossible either. In case your budget is not allowing you to hire a wedding planner, then you may try connecting with a few wedding planners and get their thoughts and ideas. Wedding planners and even organizers are professional people and they can take care of everything as you are doing according to your budget. They can do your event as per your budget, so it just may be a myth that hiring a professional wedding planner costs a lot. What’s Happening Behind the Scene at ServiceSutra? How ServiceSutra is different from other websites? Well we are different because we are trying to build a community of human verified Service Professionals and a platform where hiring service professionals will be easy and simple. We are not yet another directory website or a classified website. We are more than that and trying to create a better connection between consumers and service professionals. Can you compare price from a couple of Wedding Planners within a click on a directory website?? Can you check the credential of an Interior Designers on a classified website where you have been posting ads? Simple answer is no and there comes the need of ServiceSutra where not only you get connected to 3 human verified service professionals, but you will be able to check the credential of the professionals, compare their price and negotiate with them before making a decision to hire. Help us build a platform where consumers can evaluate the trustworthiness of a service provider as well as the price and quality of their services and testimonials of their past clients. Update: we have soft launched our website and if you know a professional Local Service Provider in India, please let them know. Service Providers can express their interest to register here for free and we will get in touch with them. Interior designers are the professional people who can help you get best interior design for your home or office. Interior Designers in India can help you renovate your home or office and help you plan the layout of your place. But if you have a limited budget, then it becomes a challenge to get the best design as per your expectations. Listed below are some tips and advise that you can follow to get best design out of your tight budget. In order to get the idea of some inspiring design that you relate with, start searching on the Internet, look at some magazines related to decoration. The moment you like a design, just cut it. Once you have some good sample designs with you, you may go ahead and shortlist the best ones, based on the purpose of your design, types of people who will be coming or staying in that area/room, colors that you like, age of the people who will be staying or visit your room etc. basically the idea is to have a clear objective of what kind of design you want to get after decoration, so that you can communicate well with the interior designer and decorators when you talk to them. Once you have some sample design and clear idea of what type of design you want, you may start looking for a local Interior designer and decorator in your city. Interior designers in India are mostly available across any city. And if you are staying in a mega city like Delhi, Mumbai, Bangalore, Kolkata, Hyderabad or Pune, you can find hundreds of interior designing companies. Once an interior designer or interior decorator comes to meet you, you must communicate your design objective and budget to them and get their input on what they think and where they think tweaking or improvements is required. Make sure to explain well to the designers so that you get the best-tailored design for your room. Make sure to talk to a couple of interior designers before you hire one. Each designer will give you different rates, as its service. Different companies and service professionals have different approach and pricing structure based on their experience and expertise. Discuss and negotiate with a couple of interior decorators before you hire one. Check their past work, client testimonials, look at their past customers and don’t hesitate to talk to a couple of their customers to know how their customers rate them. Now you are ready to hire an interior designer and decorator. So go ahead and sign the contract and make sure they mention how much you will be charged, what kind of advance payment is required to be made, what are other payment terms, what you get, and by when the interior work will be completed. You may post your Interior designers requirements at ServiceSutra.com and within minutes, get connected to three interior designers and decorators in your city. We have profiled and enlisted some of the best interior designer in India so that you can compare and evaluate their offers effortlessly. You can talk to them; ask for their rate estimates and after all the discussions and negotiation, if you like one of them you can hire one. ServiceSutra can also help you view their ratings and reviews, portfolio and testimonials of their past customers. Even you can write a review about the service provider that you hired and worked with. The wedding is a lifetime moment filled with lots of emotions, excitements, dreams, hopes, anxiety and worries. Wedding planning could turn out to be a tedious and stressful thing to handle for you and your family because it involves lots of minute tasks and activities. Thousands of rituals and customs, hundreds of guests, the catering and decorations, all these need to be managed carefully and perfectly. All these activities, coupled with tensions, can you manage it all? Is it possible for one person to manage all? Then, what is the solution? The name of the solution is a Wedding Planner. Having a professional Wedding Planner involved to organize and co-ordinate this joyful wedding event can eliminate that stress for you and family. Wedding Planners are professionals (companies) who work with you closely and take care of all the arrangements that are required to make your wedding a grand success and memorable moment of your life. Finding that perfect wedding planner can be difficult at times. You must do some research to make sure that their team is professional, they have some satisfied customers, they have handled the marriage of the level you are planning to and so on. Below are some tips on finding and hiring that professional wedding planner who can execute just the way you want. So, how can you find a perfect wedding planner suitable for you? Here are some of the basic ways. Start looking for referrals from your friends and family, or search wedding planners on google or other search machines. Once you have some contact numbers, call them and fix an appointment. Communicate your vision to the wedding planners and explain them well about the kind of guests who will be attending, explain them about your budget etc. The more you communicate, the better they will be able to understand. Ask for their input and advice on how to improve the overall event. Ask for some referral of their past clients, to ensure they have some satisfied customers and they are worth hiring. Finally discuss the pocket pinch and other terms and conditions. The contact numbers and the websites that you get from Google, are they genuine? Are they verified? You do not know. There are various kinds of wedding planners. Some deal with premium projects like that of elite class, budget may be going over 50 Lakhs or more. While, there are some who entertain projects of much lower budgets. Say, if you are looking forward for an event around 10 Lakhs, and contacting those big budgeted planners, then they will not entertain you. Your time and energy will be wasted. You must get connected to the right kind of wedding planner as per your needs. Some companies may not even take calls, thus creating problem for you. The companies have to be responsible enough as well. After you pay them the advance, you find that they just vanished in thin air. God forbid, but there are all kinds of situations that may arise. What will you do then? Well, do not panic. You will get relief now that you have come to our site. We are there to help you out and save you from any such messy situations. Fill up the request form, and our professional team will contact you within minutes to know your requirements. Then, three verified companies will contact you and submit their quotes to you. You will get the service here absolutely free of cost, and you will make your decision independently. We will just place the cards before you so that you can make a judicious decision. Once you communicate to a couple of Wedding Planners, you will be able to understand which one of hem is offering you a better deal, who is more professional and finally whom you should hire. If you are in India and looking for a wedding planner, you may check out ServiceSutra.com a community of human verified Local Service professionals in India. Once you post your service request, you will get connected to three local wedding planners. You will have a detailed conversation with them, and hire the one who is most suitable for you. Remember, wedding is a grand and pompous event involving thousands of responsibilities. Wedding may be made in heaven, but the event and the budget are to be taken place here on earth. The wedding planner will take care of everything, the decoration, the catering, the rituals etc. So the wedding planner that you are planning to hire must be able to understand your vision and expectations well to execute properly. The wedding planner knows how to organize and manage the events, and thereby will be able to make the wedding a grand success, creating a positive impression on your guests too. Make the magical moments of wedding memorable by hiring a wedding planner perfect for you.